The Captain series is built on the top-selling truck seat platform which is known for its ergonomic comfort and low cost of ownership. With the right combination of adjustments such as air lumbar and rear cushion tilt, the Captain is ideal for most general trucking applications. 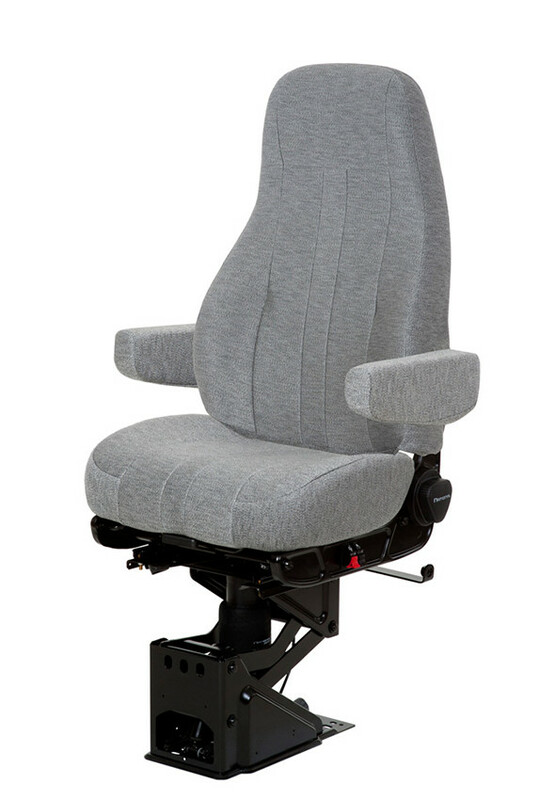 Featuring the ‘chugger-snubber’ seat isolator, the Captain series truck seat will keep you and your truck moving allowing you to focus on getting the load to where it needs to go. The 95 air suspension with 6” of vertical travel delivers comfortable buffering from road vibration and is suitable for class 7-8 Heavy trucks. This product is a popular choice and therefore there is a higher probability that it is in stock at your local truck store. You can locate a dealer using our store locator and call around at your closest dealer to see if they have the item in stock.